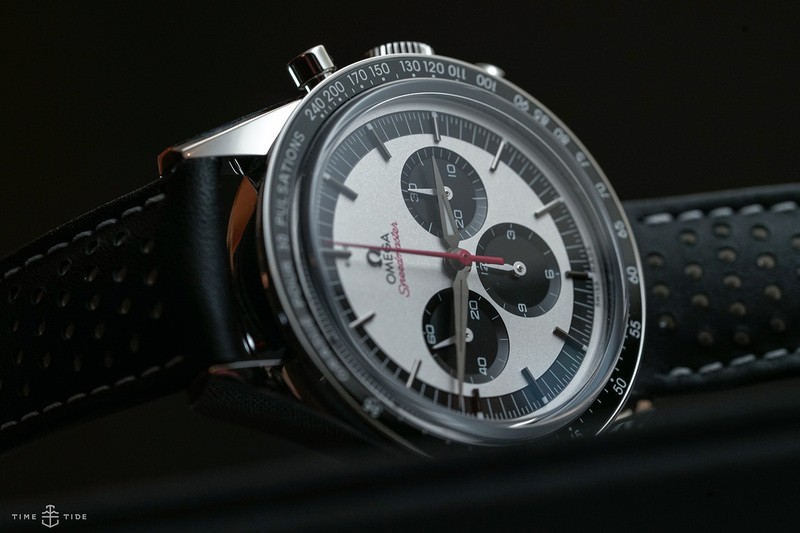 As far as famous watches go, the Speedmaster is way up there. 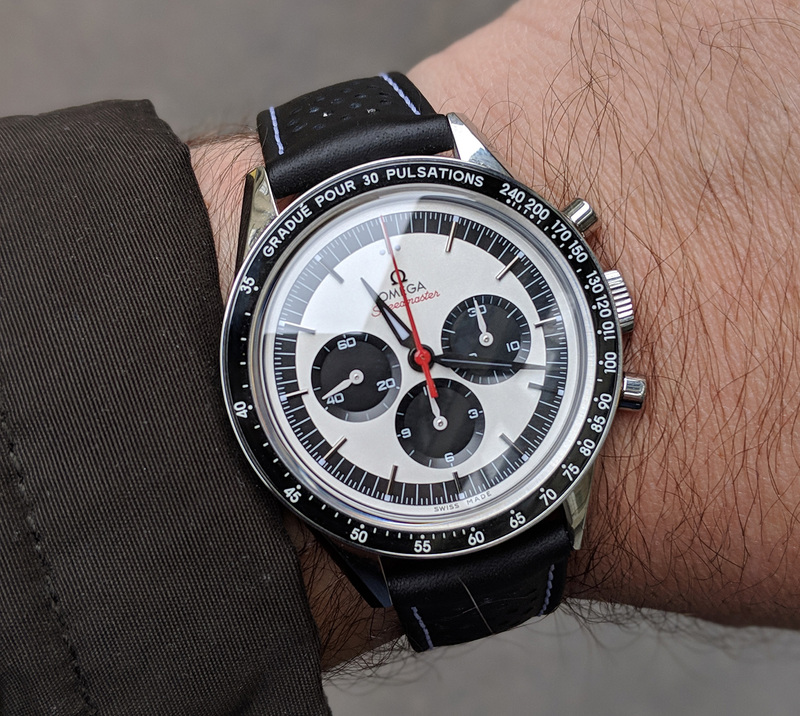 And aside from its famous extraterrestrial exploits, it’s also a real staple of the watch world, which is why a Speedy was a natural choice of wrist wear for my recent Swiss trip. The fact that this trip included spending some quality time with Omega only sealed the deal. 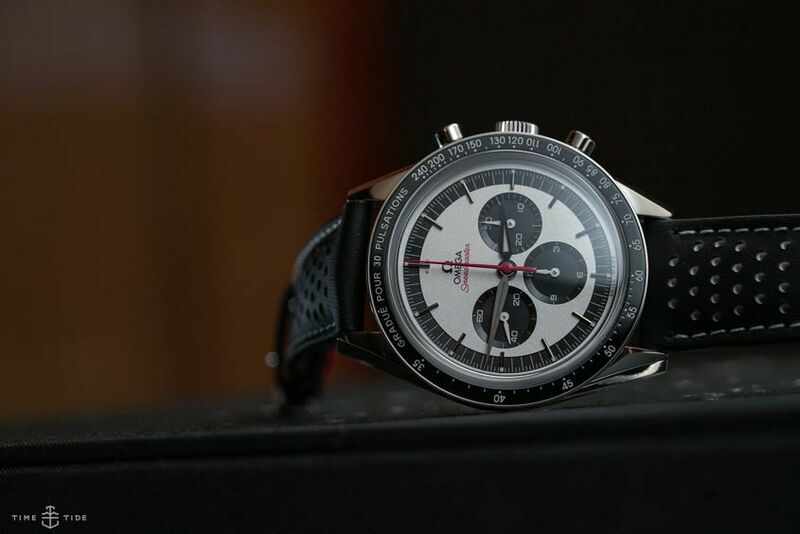 The next question was: which Speedmaster? Well, in the end, my decision wasn’t too hard, because even though you’re spoiled for choice, I wanted a more classical iteration, and one with a mix of personality and versatility. So I plumped for the 2018 limited edition, the CK 2998. Once I put it on, it felt … pleasingly petite. It measures 39.7mm across, so it’s not really too small, but thanks to that broad black bezel, it wears smaller than you’d expect. It’s also, thanks to the manual winder inside, thinner than the automatic chronographs I typically road test. It’s a nice-feeling watch; present, but certainly not overpowering. Looks-wise … it’s vintage, but not too vintage if you take my meaning. In case you’re not familiar, the CK 2998 is based on the first Omega in space, a 2998 worn on the wrist of astronaut Wally Schirra on Mercury 7. This take on it offers a crisp, legible and pure design, with Alpha hands, a panda layout, red details and pulsometer bezel. Essentially, it’s a monochrome offering of the blue limited edition CK 2998 from 2017. What stood out to me … was — literally — the dial. 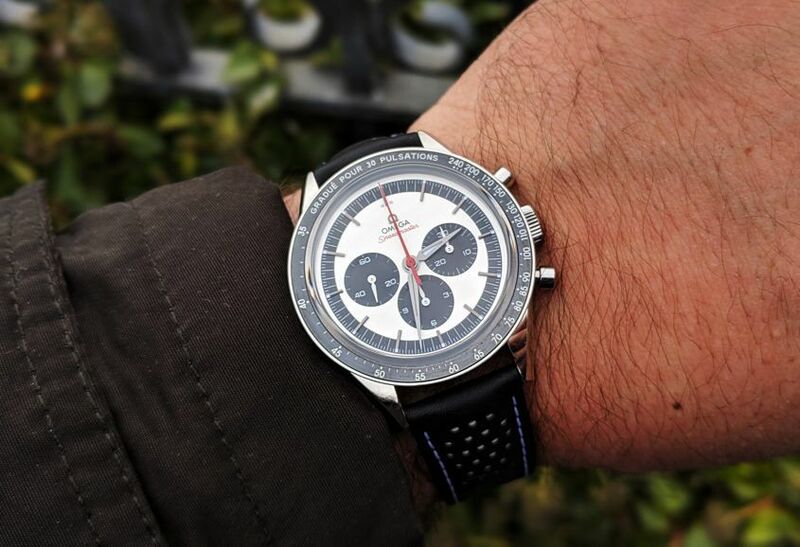 Your classic Speedy is a pretty black affair, but this guy, with his silvery opaline face, elevated the at times ubiquitous chronograph to another level. I wore it all week at SIHH, and it garnered its fair share of praise, for its winning combination of classical proportions and general charm. 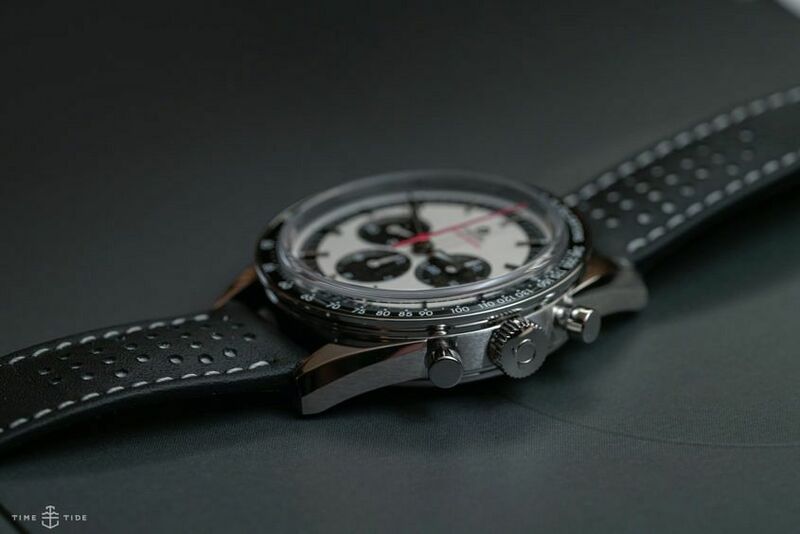 So, if you love the classic Speedy but want one that stands out from the pack a little more than most, it’s a good option. I’d wear this with … anything. Suit and tie, T-shirt (not that I had much recourse to do that in Suisse), and in-between casual wear, this guy tackled them all with equal skill. It’s complementary in every occasion. The only times I’d consider leaving it at home would be in actual black tie, or situations that involve getting knocked around. And even then I suspect it could still hold its own. If I could change anything … the lume. Especially the whisker-thin strip on the minutes hand. When it comes to luminous material I’m of the mind that you either do it properly or not at all. Now, I understand that the DNA of this watch is all about functionality, and all-hours visibility is a part of that, but I could take it or leave it.